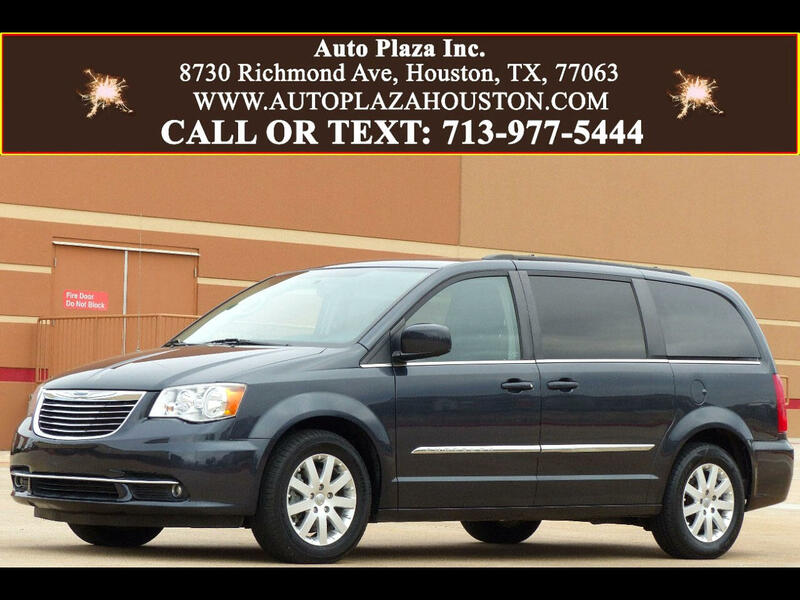 Used 2014 Chrysler Town & Country Touring for Sale in HOUSTON TX 77063 Auto Plaza, Inc.
Presenting this Loaded 2014 Chrysler Town and Country with the Touring Package and a smooth Automatic Transmission. This Minivan is Loaded with ANYTHING and EVERYTHING You could possibly Want!!! Options include, Backup Camera, Rear Mounted DVD Screen, CD/ DVD/ UConnect Stereo, Built In Harddrive, Aux/ USB Audio Connection, Bluetooth Handsfree/ Audio Streaming, 115V Power Outlet, Power Leather Seating, Second Row Folding Captain Seats, Third Row Seating, Power Sliding Doors, Power Liftgate, Dual Climate Control, Rear AC Controls, Traction Control, Garage Door Opener, Tilt/ Telescoping Steering Wheel, Fog Lights, 17" Alloy Wheels, Power Mirrors, Power Locks, Power Windows, Rear Defroster, Luggage Rack, Dual Front Air Bags, Cruise Control, and More! If you are a FAMILY person concerned with adequate space and comfort for the children this Van is Evidently Perfect for YOU So, Call Now!!! Financing Available.
. . . . . . . . . . . . . . . . . . . . . .More Pictures Available On Our Website. . . . . . . . . . . . . . . . . . . . ..WWW.AUTOPLAZAHOUSTON.COM. . . . . . . . . . . . . . . . . . . . . .